Barber and cosmetology schools in Idaho have to meet newly set requirements before they start operations in the state. 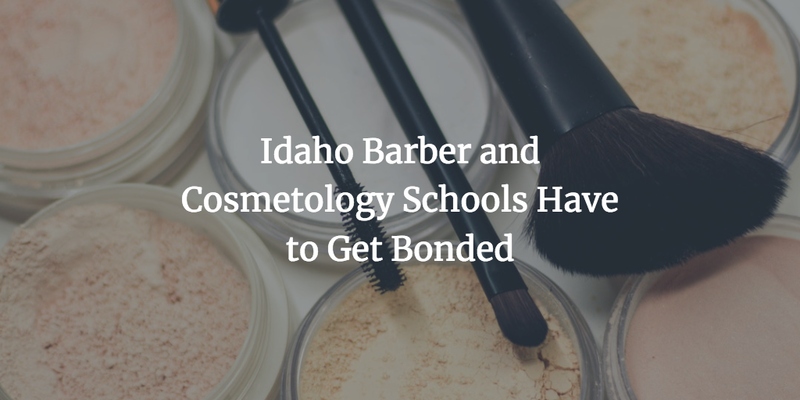 As of July 1, 2018, such schools have to undergo a licensing process with the Idaho Barber and Cosmetology Services Licensing Board. As a part of it, you have to provide a surety bond in an amount of $20,000. The changes are introduced with Senate Bill 1324, which also brings an overall licensure reform for barber and cosmetology schools. The bill was passed on March 22, 2018 and is known as the Idaho Barber and Cosmetology Services Act. Below are the most important details that you should keep in mind if you want to start a barber or cosmetology school in Idaho. With the new legislation, Idaho lawmakers have created the Barber and Cosmetology Services Licensing Board. This will be the authority in charge of overseeing the activities and professional quality of barber and cosmetology schools in the state. The new Board unites the activities of the previously known Cosmetology Board and Barber Board. Schools will now have to obtain a $20,000 surety bond in order to meet state requirements for licensing. You will have to renew the bond on an annual basis during your licensing period. This is how you can make sure your state license will remain active. The purpose of the bond requirement is to guarantee a higher level of safety for the students of barber and cosmetology schools. The bond ensures the legal compliance of schools. In case a school fails to meet its contractual obligations with students, or in other way transgresses from the law, a claim can be brought against its bond. A harmed party can seek a compensation of up to $20,000, which is the penal sum of the surety bond. Senate Bill 1324 sets also some exemptions for obtaining a license as a makeup artist, as well as for out-of-state cosmetologists and non-resident licensees who teach. You have to apply with a surety agency in order to obtain your bond. The required bond amount is $20,000. However, you don’t have to cover that sum. Instead, you have to pay a bond premium, which is a fraction of the amount. In the typical case for applicants with solid finances, the rates are between 1% and 5% of the bond amount. Your surety examines your personal credit score, business financials, assets, liquidity, and business knowhow. On the basis of these factors, it makes an assessment of the bonding risk involved. If you are deemed as a low-risk applicant, you’re likely to get a lower bond rate. As the bond should be renewed annually if you want to keep your state license running, your bond cost can change from year to year. You can work on improving your finances if you’d like to see your bond cost go down with the next renewal. Have you already applied for the licensing of your barber or cosmetology school? Please share your experience and tips in the comments below.